Specialized in all types of moving, united national moving is a part of household goods transportation industry since 2001. At every step of the move, the company is oriented mainly on providing full customer satisfaction and high quality service. 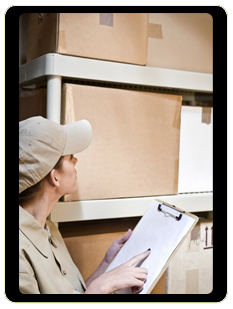 The qualified representatives will provide all types of packing services to take care of your belongings. In addition, you can also enjoy a climate controlled storage which is monitored 24 hours. Having an A+ rating with the better business bureau, you can be sure of having best move ever with united national moving. ( 5 out of 5 based on 16 reviews ). By sharing your experience with United National Moving and Storage , it will help other customers to make a right choice of using this company. United national Moving and Storage has submitted for evaluation and got selected over 3000 companies nationwide. We sincerely congratulate United national Moving and Storage for their wonderful performance. This company did an outstanding job helping me and my family move! I am a mother of 3 little ones so planning a move while my husband worked all day was not an easy tasks, but the people there especially Phyllis really understood that. They took there time explaining everything to me even the drivers did the same thing. They made me feel like they cared which is why I choose them. And throughout my move they made me feel very cared about, any questions were answered pretty quickly. I needed to have my kids beds and the crib at a certain time as well because I did not want them to sleep on the floor and they really worked with me. I was really pleased with everyone there and if you have to move please use these guys, they were awesome! These guys are good to go! Good people I tell you. My wife and I are elderly and I made sure to tell them that we needed a whole pack up but on a budget. They were a bit more pricey then other guys quoted me but they made me feel comfortable and I was happy. I paid exactly what they quoted and the movers were outstanding! Very patient and listened to all that we said. Greatest moves so far for me. I hate moving the packing, the headache and of course the money! The folks at United National made it pretty much hassle free. They were open and honest from the jump which I appreciated very much. The quote was exactly what and the movers were very nice and were willing to work. Great company to move with! They answered all my questions and phone calls and kept me very informed of where the driver was. The movers really made my day at delivery they were very funny and easy to work!! Where ever I wanted something is where they put it even if I asked ten thousand times to move it to another corner they were happy to help. Thank you for making my move great... you guys are awesome. You will here from me next time I move as long as friends and family! Great guys from start to finish. I moved from Georgia to NY and I had a 3 bedroom house with a lot of stuff. My fear about moving was that the quote would not cover the amount of items that I had. But Micheal added more space to the quote which was awesome! The movers were fantastic I thought they would see the house and run with fear but they were ready to go. They made me feel comfortable which reassured any fears that I had. They did a great job and walked me through the process one step at a time. Good job and thanks!! I HIGHLY recommend this company. Happy moving! I just moved from CT to Naples FL and i hired United National Moving and Storage after my friend had used them and told me what a great experience she had and gave me there number. My salesman Adam was not only very knowledgeable he really was there as promised from start to finish! The mover's were very professional and as promised my move was never "brokered out" and no third parties were involved! I received all my thing's and all are in good condition great job! Last December, I moved to the second floor of a new house and I thought that would be very troublesome for me to move from the 11th floor of an apartment. Then I hired the movers from United National Moving and Storage and the manager of the company explained everything through call. On the moving day, one of the mover, Nelson gave call to say that they would be late at least half an hour but they only 10 min late. I was really worried about the breaking of my particular piece of furniture but they successfully moved that without a scratch. I highly recommend this company because all the movers of this company are super fast, energetic and skillful. Last month, I was moving from Pennsylvania to Indiana for my job and United National Moving and Storage was very amazing as I scheduled the move very last minute. The movers were responsive and the main customer service agent, David was excellent in his behaviour. He discussed the every details over the phone about 60 minute, also went above and beyond. David assisted with all the billing process because my company was paying for the move, so I didn't have to do much, only give his name and phone number to my company. The moving crew showed up on time and their packing system were amazing, efficient and careful. I just love this moving company which is so great all around and also recommend to others. Hi, this is Amara. I lived at Annapolis, MD with my Husband and two kids. My husband is Govt. service holder. Last January for his job purpose, we had to move to Kansas. This was our first time moving from one state to another and I thought that it would be very difficult for us to move with all belongings because we stayed there in three bedroom apartment. Moving sounds like hazardous, stressful and painful to me like everyone. United National Moving and Storage is not just EXCELLENT but also GREAT and AWESOME because it change the thought of mine. While my husband was looking for the moving company through Internet, one of his colleague recommended United National Moving and Storage. My husband contacted with this company and the manager of the company explained every detail of moving and billing very carefully but we didnt have to deposit any credit card before moving. Movers of United National Moving and Storage are the best. Because moving from place to place is very stressful and painful process. But thanks to Jamel and his team made this task stress free and painless while I moved from Philadelphia to Georgia. I contacted with the manager of the company through email and got a confirmation call one day before moving. The Manager named Alex explained every detail very carefully. The movers came on time. They packed every single item of the house very carefully and delightedly so that not a single scratch has been put on. I also highly appreciate their loading and transportation system. At the journey time, the manager of the company gave us call to ensure the safety. After arrival, very carefully they unloaded all the items and placed it where we designated. The most important thing is they never become bored while working. All the way they seem professional and efficient. They all were well-behaved, hard working and honest. They didn't break or miss any item. I am very pleased with their work and in future if I need to move again, Ill take their help. Ill also recommend to others for the service. I lived in Delaware but now I shifted in Nevada because of my new job which will pay me higher salary than before. So I needed to move all my furniture and all other belongings to my new apartment. That's why, I searched the name of many moving companies in the Internet to take help in transferring all my belongings. Finally I found the name, United National Moving and Storage which is one of most famous and well reputed company in this industry. I contact with the Manager of the Company and made a deal for moving with the charge of $1500 which is much cheaper than other companies. What an EXCELLENT customer service of the company, United National Moving and Storage is awesome and great. I was really impressed by their professionalism and also surprised to see that they made the long distance move from Delaware to Texas very pleasant but quick. They took $2800 as the service charge and this price was reasonable. 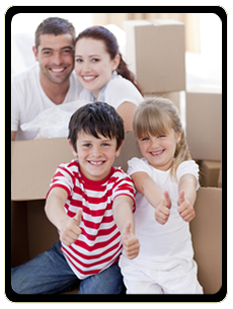 The movers are well trained and also very expert in packing, loading and transportation. We didnt need to mention them for packing all the things carefully but they take proper care while wrapping each and every single item. Within 4 days, the movers arrived at Texas to our new apartment with all the belongings. The most amazing thing is that the movers didnt mishandled any item or even they didn���t let scratched to any of our furniture, TV or crystal item while lifting to our new apartment. After delivery, the movers didn���„�t take any extra fee but all the way, they took great care to our belongings.Thanks a lot to the whole team of United National Moving and Storage and of course I������„¢ll recommend to all I know. Moving was always difficult and disaster tone for me until I discovered the company named United National Moving and Storage. Now I don't worry while I need to move from one place to another. Because of my job, I have to move once a year. I was really impressed by the service of this movers, when I hired them for the first time. Last July, I hired them again for the second time. Their service charge was reasonable and less than the most other companies I contacted before.This time they have done a great job again. All the crew of the company were honest, punctual, hard-working and careful. At all times their service was first class and as expected as my previous experiences. The movers completed their task in a timely manner. I must say, they are doing a great job. Ill definitely recommend this company and take the help again if I need. I moved to California from Maryland and the movers of United National Moving and Storage were the most professional people that I have worked with in a long time. From the first phone call for an estimate down to the final delivery, they did everything very smoothly. They provided the great service with the best prices without any commotion or hidden cost for moving and I would highly recommend these people for any move. I hope, I do not have to move out of the state very soon but if I do, of course I'll call them again.